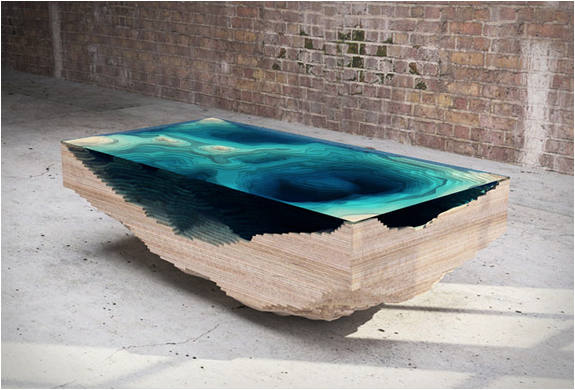 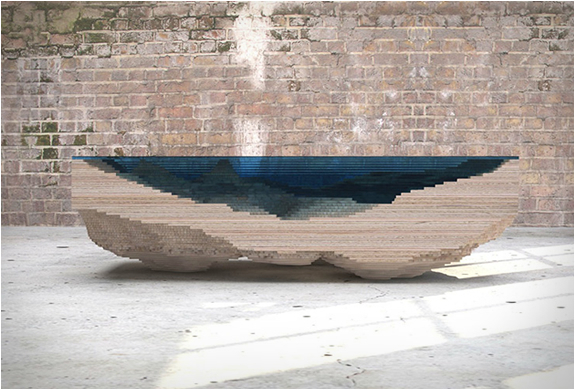 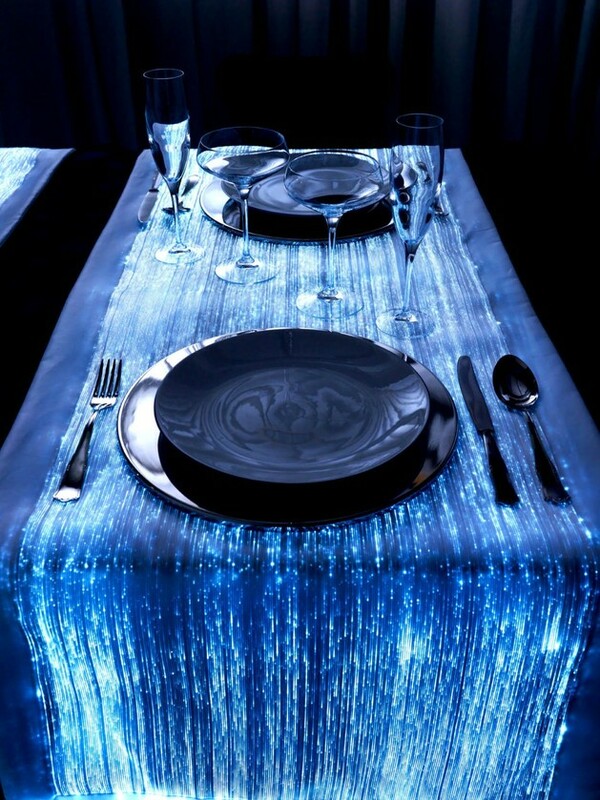 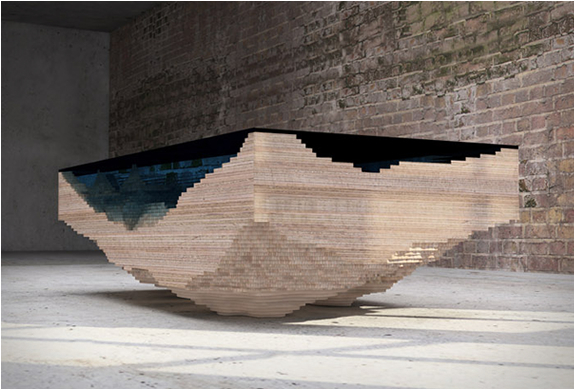 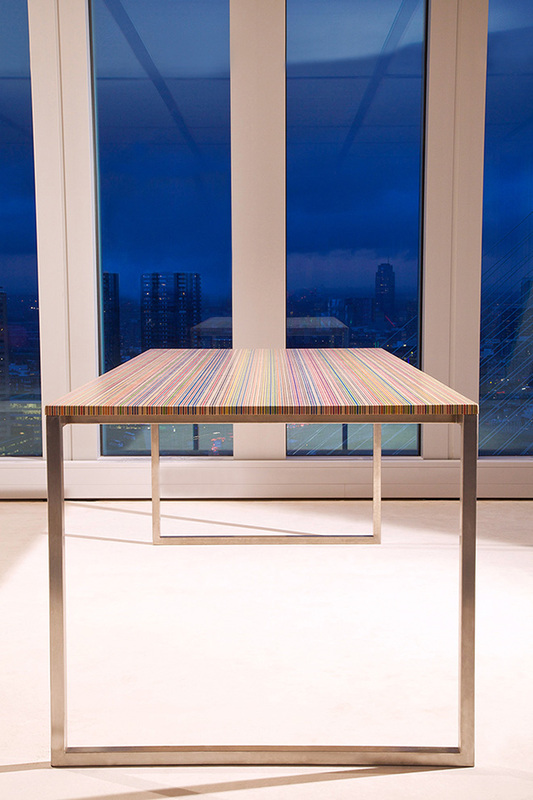 This awsome Abyss Table has been designed by Duffy London. 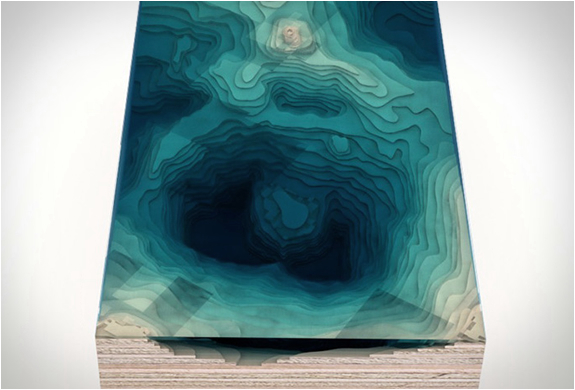 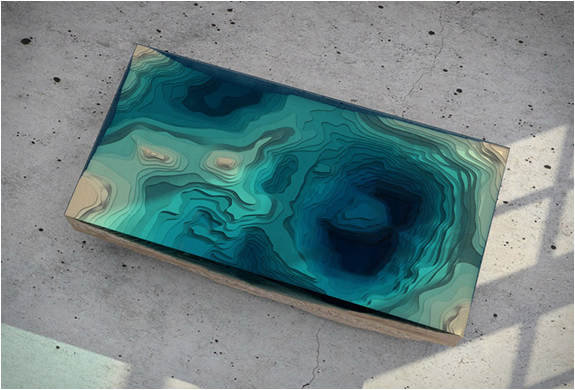 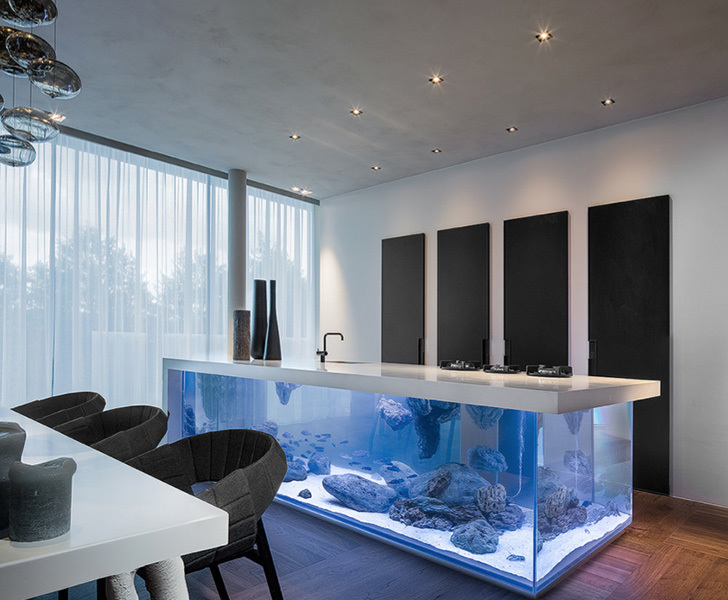 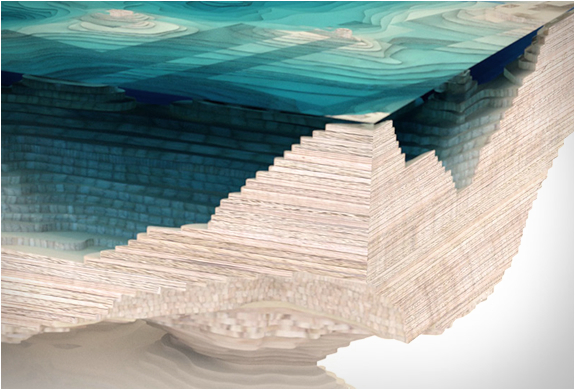 The clever and beautifully executed design mimics the depths of the ocean with a 3-D representation of a geological cross-section re-creating a mesmeric abyss. 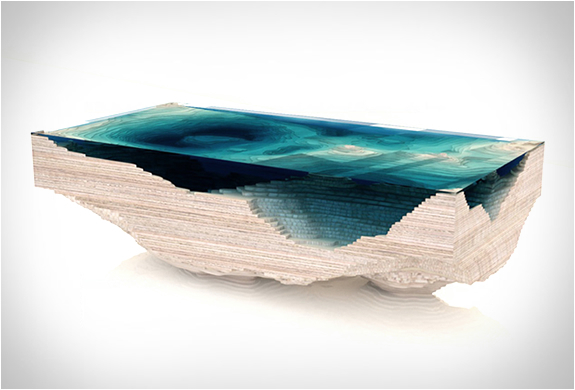 The stunning effect was achieved with sheets of wood and glass overlayed on top of each other, materializing the topography and the dramatic depths of the ocean.